The city of Boulder faces numerous transit issues that are also a challenge for every Boulder County town. Boulder Magazine asked Michael Gardner-Sweeney, director of the city’s Public Works Transportation Division, and Kathleen Bracke, GO Boulder manager for the Transportation Division, to discuss some of the questions, concerns and solutions that confront transportation planning. Battling increasing congestion, encouraging alternative modes to car travel, and finding the money to pay for it all are just a few of the topics discussed. We found them both to be enthusiastically engaged in developing answers to our local travel troubles. Regardless of the personal experience we all may have in getting around our local towns, these professionals are trying to help. Tom Brock interviewed Michael Gardner-Sweeney and Kathleen Bracke on Oct. 26, 2017, in the city’s offices at Broadway and Arapahoe Avenue. 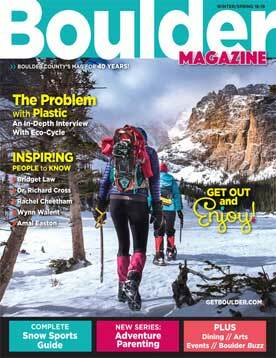 Boulder Magazine: I know the Boulder Transportation Department is tasked with many areas of concern. Most of my questions will be traffic-related. There is a fair amount of citizen consternation about traffic congestion, which drove some of the debate in the recent election. How do you perceive this congestion, and what are some solutions? Michael Gardner-Sweeney: I think it’s probably worth starting in the beginning and looking at the overall picture. We use our Transportation Master Plan as the blueprint for what we’re trying to work on. We then prepare a Report on Progress every few years. We continue to use this as a way to check in and adjust our course of action, and also figure out what to focus on. Our five current areas are Complete Streets, Regional Travel, Transportation Demand Management, Funding, and Integration with other sustainability initiatives, so connecting our transportation systems with our land use. We think that those are the five areas that we needed to focus on to be able to generate a successful future where people get to move around and minimize those impacts. We really use the Report on Progress as our way of asking, “Are those still the right things to focus on? How are we doing?” We’re just about to launch a new update in 2018 and 2019. BMag: You prepare a new master plan once every five years? MGS: Plus or minus. Our next report will either affirm those five focus areas, or we might add one or two. Funding seems to be an even more critical aspect of being able to create the future that we want. We have no idea what the federal government’s funding plan is; I don’t think they do either. The state has gone many years without addressing their long-term funding needs. RTD is basically saying that they can’t pay for the stuff that they’re just trying to implement. I think we have a lot of financial headwinds. Another new area that might be a critical one is the whole technology piece, autonomous vehicles and electric vehicles. Our future is that the road system is largely built out. So our ability to add lanes and substantially change the curve for how many cars we can fit is pretty much done. 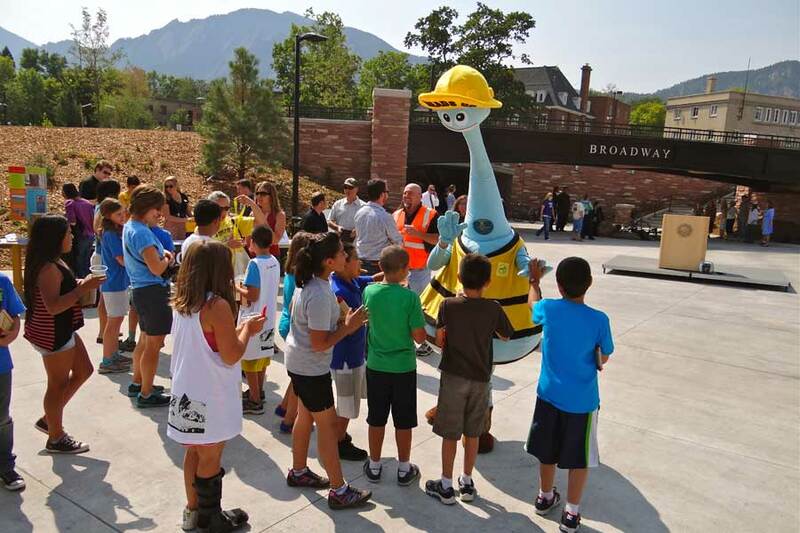 Uni Hill students visit with Boulder’s Safe Streets mascot near the underpass at Broadway and Euclid Avenue. BMag: Autonomous vehicles are the hot topic. What’s a current time frame for them? MGS: If you listen to some of the industry experts, maybe in 2024, 2025, we’ll have hit that critical point in the curve, and you and I won’t own a personal vehicle anymore. We’ll basically use our smartphone, and vrrrrrrt, the thing will pull up in front of us. BMag: That timing seems aggressive, but we’ll discuss that later. Let’s talk about the funding issue. We often hear, “Why doesn’t the city improve this,” or “Why doesn’t the city do that?” How much do you have in discretionary funds to make the transit improvements people want? MGS: There are two different sides to that question. Is it a resource constraint, or is the intervention something different than people would prefer? On the resource side, we have a 75-cent sales tax which is dedicated to transportation in this city. That generates somewhere in the neighborhood of $25 million a year. Then we have federal grants, and we have our portion of the gas tax, and that adds up to about $30 million a year. The lion’s share of that goes to operate the existing systems we have. We have to fill the potholes, make the systems safe, those types of things. BMag: So, realistically, there’s not much money left for upgrades? MGS: We call those “enhancements” to the system. We have a fairly limited capacity, and we’ve used a lot of leverage to finance those in the past, using local dollars to leverage federal dollars to do some of those things that you will see in the community. Our future is that the road system is largely built out. So our ability to add lanes and substantially change the curve for how many cars we can fit is pretty much done. If you look at Broadway and Pearl, for example, the buildings are 80 feet apart and the street is 50 feet wide, and you’ve got sidewalks, and so the ability to make significant investments in roads limited by the fact that there’s no space. Kathleen Bracke: We’re a very built-out community. MGS: We’re already a mature community, and even if we did have the room, if you have a commodity, it will be consumed, right? When it comes to the transportation system, if we were to add substantial capacity, there’s evidence that says the new roads would basically fill to capacity. BMag: Boulder will see a lot of residential and commercial growth in the near future. Can you let our readers feel comfortable they won’t be forever stuck in traffic? MGS: I think that the intent of our transportation plan is—here are a set of investments that we need to make that are sustainable, that keep pace with the increase in demand and that do so in a way that actually will work 20 years from now. Making it good to walk, making it good to bike and also investing in a transit system that is time-competitive with the vehicle. KB: I think it comes to how are we maximizing moving people through the system, whether the person is on a bike, in a car, or in a bus. We’re trying to maximize the person-carrying capacity of the system, whereas other communities have traditionally focused on how to move the thing, how to move the car how to move the bus; we’re trying to figure out how we move the people and doing that in the safest, most reliable and efficient way possible. BMag: Can you provide some specifics on the process? BMag: So there were 471,404 trips in 1994, and looking at it now, there are only a thousand more? MGS: Right. And then what’s interesting—if you were to ask the question, “Is traffic worse today than it has ever been?”, what would the answer be? BMag: “Heck yeah!” Your numbers don’t show that, but don’t you think they fly in the face of the experience that most people have? BMag: It’s no worse than it was. MGS: Yes, and that if you were to look at this, what’s happening is it peaked at 527,000 back in 2001-2003. [That indicates] that there’s more in play than just the number of dwelling units or the number of square feet; the whole economy is in play. There’s been an intervention from a policy perspective relating to parking management and other forces that influence travel. BMag: How do you mitigate congestion when employment will only go up, and many thousands more will be living in the city? KB: We’re kind of myth-busting the numbers you often hear, like 50,000 or 60,000 in-commuters. MGS: And using the term “daily,” which is not what the number’s about. It’s a jobs number, not a car number. KB [points to graph]: This pie chart shows Boulder employee commute patterns—45 percent of the jobs in Boulder are held by residents, 55 percent by nonresidents. People translate that job percentage to cars, and what we try to convey is, there’s people, there’s jobs and there’s cars, and they’re not the same number. One person may hold multiple jobs, and one car may hold multiple people, so we have to be really careful that those numbers aren’t used interchangeably. The bottom line from the community is it feels like all of those numbers are going up, and what are we doing about it? Some examples include the college pass for transit, the neighborhood and business EcoPass programs, which have been tremendously successful. People who have a pass are six times or more likely to ride transit. There’s not one magic answer. It’s not just getting people an EcoPass or doing managed parking. It’s the combination of options and choices, whether [a person] lives in Boulder and works in Boulder, or works in Boulder but lives outside the community. We manage the system and manage congestion by giving people as many choices and options as possible. BMag: RTD bus transit counts for a lot in future plans. Local voters are still upset that we ponied up money for the promise of rail back in 2004, only to hear it’s still 30 years away from today. What’s our relationship with RTD? 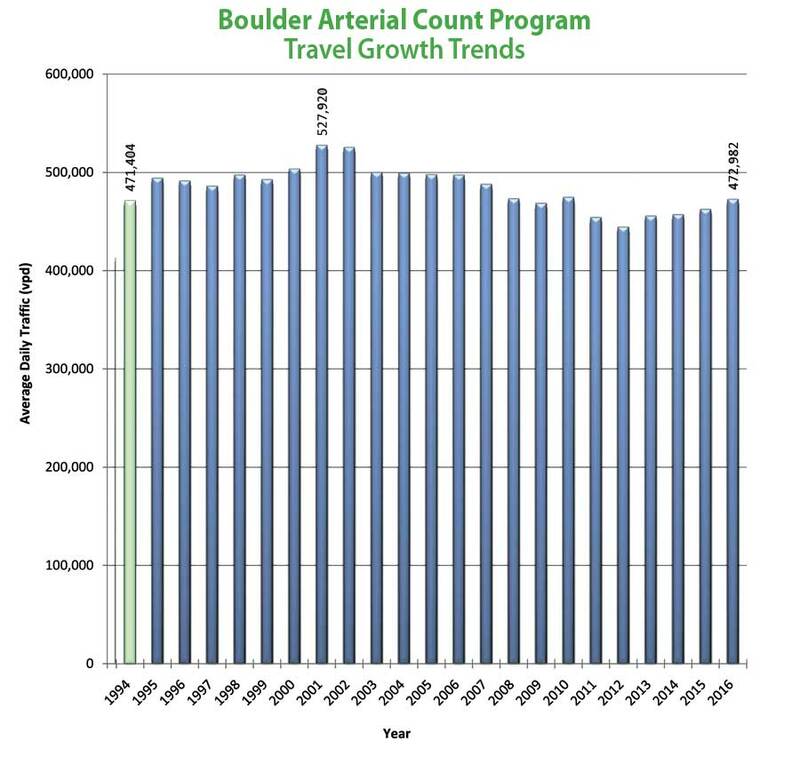 KB: We’re currently working on a renewed vision for transit, for how we carry travel capacity in Boulder over time. Transit is part of that backbone of our transportation system today. [She shows a visual of existing bus routes and planned new routes.] The existing system is shown here with new routes that have been envisioned, both local and regional. The challenge is how do we get from where we are today to this vision, and it’s not just financial, but it’s who can provide the service, and all of the other pieces that go with it. 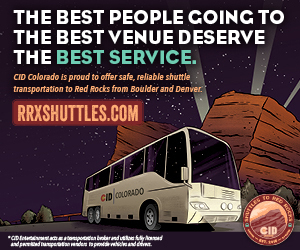 We’re working with RTD now on the Highway 119 corridor. It’s the connection between Boulder and Longmont, where we plan to develop arterial bus rapid transit. It’s high frequency, high quality; it’s a rail-like experience, but it’s done on rubber-tired buses. Many cities call it rubber-tired light rail. It reaches what we would call “choice riders”—people who might not see themselves as transit riders today, but they’re more inclined to take that type of service in the future because it’s a different level of experience. To answer your question, RTD isn’t going to be able to develop this whole vision for us by themselves. We’ve got to figure out ways to grow the partnerships that we have, so currently the city contracts with Via Mobility Services to run the HOP route. There are routes around the community that offer other opportunities to work with Via or another local provider. RTD’s trying to serve their whole metro-wide district. BMag: One new idea is a Regional Transportation Authority (RTA), a subset of RTD that would work with other local communities. Is this idea realistic? KB: RTAs are typically a funding mechanism used to fund a package of transportation investments. So you’re right, that could be an additional option on how to create transit. It’s leveraging local, regional and maybe subregional resources, because a lot of our travel patterns aren’t just in the RTD area. You could set the RTA boundary to match what we would call a “travelshed,” sort of like a watershed. BMag: —offers more, smaller, regional and local service? KB: Kind of bridges the gap. BMag: U.S. 36 was rebuilt using a private partner. Do you see that model coming to Boulder? MGS: Probably. You have to figure out what [a project] is before you figure out how you finance it, but state highways 7 and 119, I think, would lend themselves to a regional-funding approach. BMag: Does that mean toll roads? MGS: Potentially a toll road and potentially not; you end up with more tailored solutions. A toll road works on 36 because you can also manage access in and out of it. Concepts like managed lanes on arterials are much more problematic as far as paying for it, and then there’s this whole technology piece, which I think will play a big role. In the end, we’ll only own a car when we need it. KB: Like your phone. You pay for minutes. BMag: I’d like to ask about some specific areas of interest to our readers. Is your department in favor of EcoPasses for all residents? KB: The communitywide EcoPass is one of the statements in the transportation master plan, and that is something that we’ve been working on for a number of years. 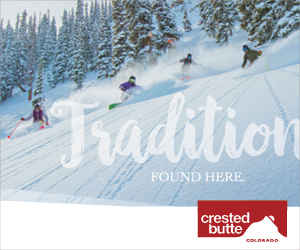 Again, not alone, but with Boulder County and with a larger regional approach. RTD is currently hosting a working group to review various pass options. From a community-access standpoint, our goal is to create as easy access to transit as possible. EcoPass models are successful and a really easy way to access transit. BMag: But given RTD’s financial problems, they’ll need money to support that. KB: And that’s what’s being looked at through this working group. MGS: Honestly, I think one of the things that the committee is trying to sort out is, will it actually be more money or less? KB: Right. Because you could make the case [that it would cost] more. RTD gets paid up front once a year, regardless of how much the people use the service. KB: Yup. Each development that comes in does a transportation-impact analysis that looks at how that particular land use changes or relates to the system, today and into the future, from an all-mode perspective. That is part of the development-review process for each project that comes in. BMag: What would such a process look like for 28th and Canyon, where three new hotels seem likely to make through streets and turn lanes much more congested? KB: One example that comes to me is from one of the hotels. Part of their improvements included enhancing the transit connections and the transit stop in front of the hotel. That’s an example of something that goes together—they’re not providing the transit service, but they’re providing a better interface between their guests and their employees and the transit service that’s on 28th or on Canyon. BMag: But your goal is no net new vehicles, so don’t developers have to commit to that? KB: One of the other things that new development does is create what’s called a transportation-demand management program. That’s part of how they mitigate their trip impact on the system, whether it’s an employment site or residential site, but one of the techniques they can use could be infrastructure improvement—sidewalks or transit or whatever it might be, and then the other is providing EcoPasses to their employees; that’s another way all of these things work together. We look at adding B-Cycle stations, for example. There’s a whole menu of things that could be done. BMag: Google will have 1,500 employees here in the next few years, doubling what they have now. How do you address an impact like that? MGS: I do think that there’s an aspect to the culture that relates to how they’ll access the facility and what kind of stewards they are of the environment. As Google came in, they actually joined the Boulder Junction district, and every one of their employees will have access to an EcoPass. KB: And bike-share membership, car-share membership, everything that comes in that package. MGS: As stewards, they really are trying to do all the right things to try and minimize both their footprint on the world and their transportation impacts. Also, as that area hopefully matures in a way that is more mixed use instead of kind of a monoculture development pattern, I think a lot of those trips can be walking. BMag: Let’s talk about driverless cars. They’re coming to Boulder? MGS: Around 2024. [Stanford transportation futurist] Tony Seba’s vision is that it’ll all be economy-driven. It won’t be a governmental intervention or regulatory. The batteries will get better and cheaper, photovoltaic will get better and cheaper. Electric cars, especially in the shared-ownership model, will be so inexpensive, your current car will be worthless. It’ll be more cost effective for you and me to actually dial up one of those than to own a car. It’ll be really interesting to see if both the adoption rate and [Seba’s] prophecy around 2024 are accurate. BMag: Is your department looking at how that will work in the streets in Boulder? KB: We held a community meeting about advanced mobility on Oct. 18. It was taped, and [is now] available on the website and Channel 8, and on the city website. The meeting was looking at how does the Boulder community want to respond to what’s coming? BMag: They’re already trying it in New York City, right? KB: Yeah, they have self-driving Ubers and Lyfts in Pittsburgh already, right? So it’s already there. The question is how fast does it come here? And what our community event was about—how do we get ready for that? 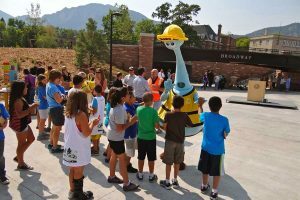 It’s not just about the fact that there’s new, shiny technology, but how does that new, shiny technology advance the goals that the Boulder community has? Because, at the end of the day, that’s what we’re trying to get to. It’s not just some new way to travel, but how do we create economic sustainability, environmental sustainability or climate commitment? BMag: Will there be light rail running up Canyon from 28th Street to downtown? KB: The quick is, the most successful way to do transit is to look at what the transit market is, and size the transit technology for that market. In our case, that’s high-quality, high-speed, high-frequency, rubber-tired transit. Because we want to be cost-effective, and what we implement and operate should be market based. We looked at providing the best-quality transit to serve the market, and for us that’s rubber-tired. BMag: Does that mean no gondola from the Hill to Downtown? KB [laughing]: Never say never, I guess. BMag: Two more questions. Some say the streets here are intentionally in terrible shape to deter people from driving their cars. True or false? KB: That’s definitely not true. MGS: Our No. 1 priority is safety, and so we’re not intentionally trying to make the streets unsafe. Our No. 2 priority is maintaining our investment, so the reality is we want to keep those streets in high quality. If we have resource issues, we need to figure those out. Can we get better at our jobs? Absolutely, and that’s what we’re working on every day. Another interesting wrinkle, just for context, is that a lot of the main roads in the city are state highways, and so the maintenance of the state highways is actually the responsibility of CDOT [Colorado Department of Transportation]. The condition of a street like Arapahoe or Foothills Parkway, or 28th Street or Broadway, is actually the responsibility of somebody else. We work really hard to get them to come in and keep [our streets] in good shape. We struggle, because the reality is they have a million-dollar-a-year shortfall in maintenance statewide. That’s how big their hole is. MGS: —so, how crazy are you?? BMag: Well, or how optimistic are you? When I was a kid we envisioned hovercrafts and transit tubes and flying airboats. In 2017, we’re not moving around much differently than we did in the 1950s. KB: … like The Jetsons. MGS: And when it was Kathleen’s turn, her pod would detach. The whole technology thing has been a really interesting struggle in that a lot of those types of ideas didn’t come to fruition. So, am I disappointed? I still think that it’s a really cool opportunity, and I approach things very analytically and conceptually, so I think it’s just a great nut to try and crack. To me it doesn’t matter so much that we’re not the Jetsons. BMag: I think The Jetsons spoiled all of us. KB: It’s a great question. By my nature, I’m very, very optimistic, and I feel like that’s just what’s helped me be appreciative of the industry and the work that we get to do every day, and so I love it. In Boulder we’re light-years ahead of many other communities, and we don’t always remind ourselves of that. It’s very apparent when we go out and spend time with professionals from other communities statewide, nationally and internationally, and it really makes you think about how great things are progressing. Yes, we have challenges, no doubt about it. But it’s the community here that helps keep pushing us to do better and better, and that, I think, is amazing. It keeps me inspired, that there is always a way to move forward. I’m very focused on the social component of moving people. So yes, I grew up with The Jetsons and all of that is cool, but for me, when it comes down to social fabric in a community, how we travel is a really important part of that. I worry that we do all end up in those isolated pods, and that takes away the social dynamic of our community. I guess that’s why I go back to that center point of how we stay connected as people moving in a community and creating those places where people come together. Whether they’re walking or biking or taking the bus or driving, it’s because we’re trying to connect people with other people and the places they want to go. The more we can do that in a way that celebrates people coming together, the better. BMag: That’s a great vision. Thank you both for your time and insight into our transportation future. 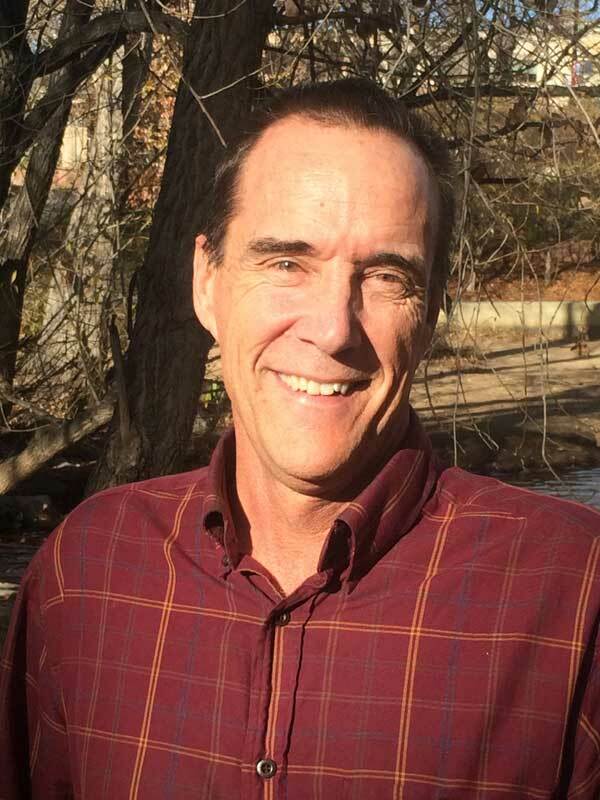 Michael Gardner-Sweeney has been the director for the city of Boulder’s Public Works Transportation Division since March 2016. He oversees all aspects of the city’s transportation system, including planning and operations, maintenance, GO Boulder, and the airport. He has worked with the Transportation Division for the past 26 years, serving in a variety of roles, including principal transportation engineer, transportation operations and planning manager. Before joining the city, he worked for the City of Loveland, as well as at RTD and TransPlan Associates, Inc. Gardner-Sweeney holds a bachelor of science degree in structural engineering from the University of Colorado. 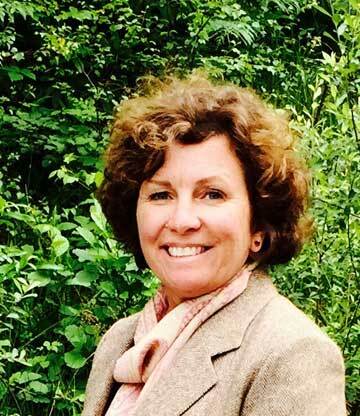 Kathleen Bracke is the GO Boulder Manager for the Transportation Division. GO Boulder’s programs include multimodal transportation master planning, corridor planning, and programs and projects that support walking, biking and transit options for the Boulder community. Prior to working for the city of Boulder, she was the Transportation Planning and Special Projects Director for the city of Fort Collins for more than 17 years. She has also worked for the Transportation Department for the City of Anaheim in Southern California. She has undergraduate and master’s degrees in Urban Planning from the University of California Los Angeles.